Forget the Man Cave. You Want a Gentleman's Study. | Valet. 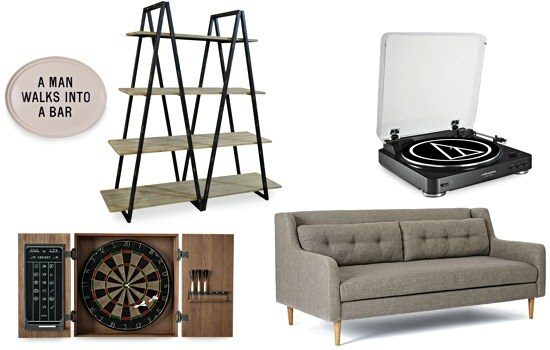 Forget the Man Cave. You Want a Gentleman's Study. You Want a Gentleman's Study. 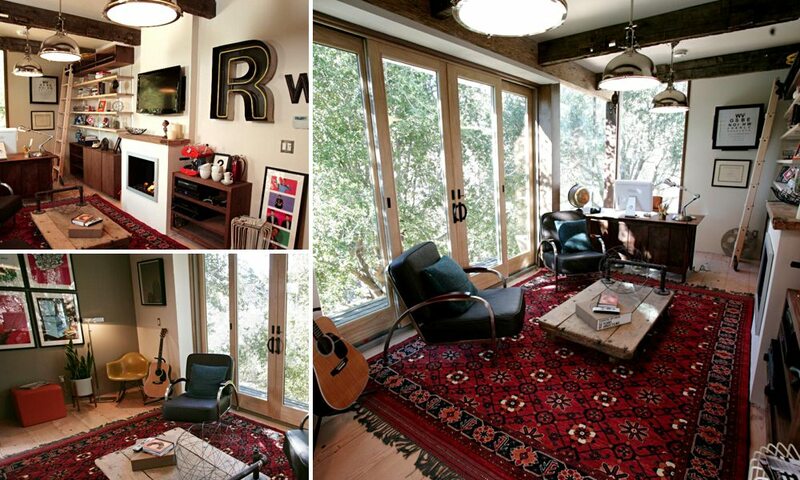 A look inside actor Rainn Wilson's study in Los Angeles. I've never really liked the term "man cave." It's almost dismissive. As in, look dude, this house isn't for you. Go crawl into this dark hole, give into your baser instincts and try to relive your college dorm days. Here's a neon beer sign and a beanbag chair. After all, we men do more than watch sports and play video games. We don't need a cave. We need a study. The study was once a place for a man to retire to after a long day. He'd hang up his jacket and sit down in a well-worn leather chair. Maybe he'd read or work on a hobby. Maybe he'd just pour himself a drink and enjoy the solitude. Of course, times have changed. Floor-plans have opened up, leaving less space for studies. But that doesn't mean you can't make one for yourself. All you need is a few well-chosen pieces. 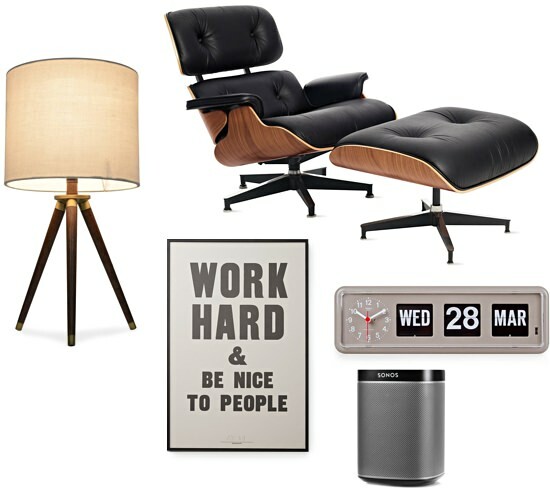 The lounge chair is a necessity. It's a comfortable place to relax at the end of the day—a place of reflection and contemplation. Proper shelving to store items you hold near and dear will come in handy as well. So will a tray to store your booze. Maybe a old-timey game piece to get you and your friends off the Xbox. Or a turntable that syncs with your wireless speakers. After all, times change, but the appeal of this personal haven is the same as when your grandfather used to skip Scotch in the safe seclusion of his own study. 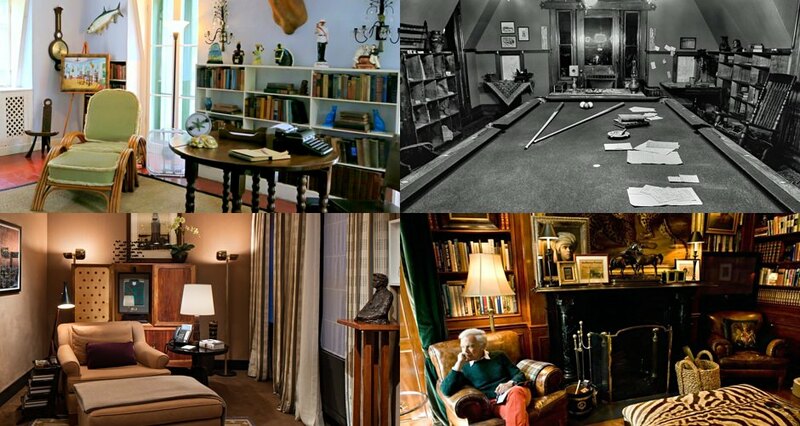 Ernest Hemingway's writing room, Mark Twain's billiards room, Ralph Lauren's library and Mickey Drexler's home office.